Tencent Games is pushing a new 0.12.0 beta update to PUBG Mobile which brings a host of new features and also fixes some irritating bugs which exist in the game. Do make a note that the changes mentioned below are for the PUBG Mobile Beta 0.12.0 update and the company did not reveal any estimated time on when they’ll make into the stable release. The latest beta update brings a new MugenSpace/Infinity mode which replaces the Event Mode in the current version. There’s a new Infinity Mode, Companion System, improvements to Survive Till Dawn with new weapon addition. Also, the update fixed the much-asked Doors bug which users have been experiencing since the last two major updates. Almost every PUBG Mobile user is experiencing the doors bug which doesn’t let them to enter a building even when the door opening mode is set to Auto. With the last major update, Tencent fixed the issue to some extent, but the doors bug still exists which is annoying several users. PUBG Mobile Beta v0.12.0 Update: What’s New? Tencent Games has released the entire changelog of the new PUBG Mobile Beta v0.12.0. While this update isn’t a major one compared to the last two updates, it does come with some interesting improvements to the Events mode. The first change is the MugenSpace/Infinity which replaces the Events Mode in the game. Instead of the Event Mode in the Third-Person Perspective (TPP) modes section, you will now see a different section. The update also brings a new Infinity Mode: Darkest Night; In this mode, if a user fights the zombies for one night and survives the night, then all the teams that are still alive at dawn will win. Furthermore, PUBG Mobile has a new Companion System. When you take a companion into battle, enemies will not be able to see you which reduces the exposure risk. Also, users can earn Companion EXP by taking them into battle and level them up to unlock emotes. At the moment, it’s unclear how this feature works, but we’ll surely test this out in the coming days. Lastly, we have several improvements to Survive Till Dawn: Zombies Mode. Stun Grenades in the Survive Till Dawn mode will also stun zombies so that you can hide yourself during the night time and run away from the zombies. The mode also got Liquid Nitrogen Grenades which will freeze enemies and reduce their movement speed, so that you can take them down easily. 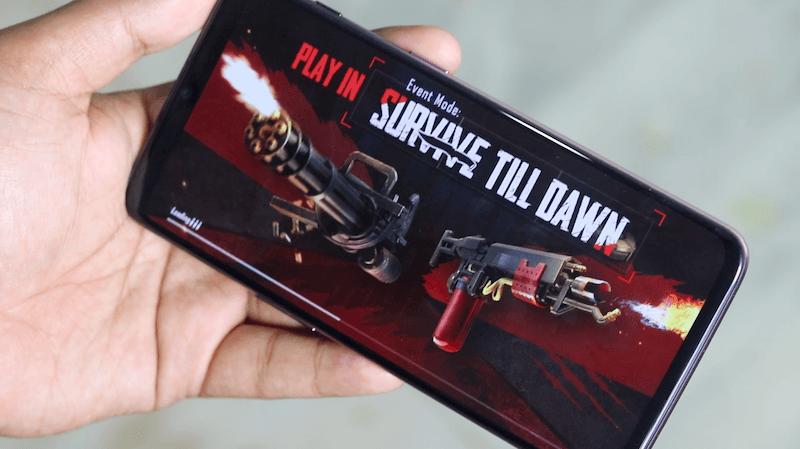 Zombie Mode is one of the exciting modes ever introduced by Tencent Games to the favourite mobile game. It’s getting even more interesting with the latest beta update as Tencent Games is adding jumping zombies and zombie dogs; This means some zombies can now climb over low walls or into the roof. Basically, you can’t stay away from Zombies after the latest PUBG Mobile Beta update. There’s a new RPG-7 weapon and Jungle Style Magazines added to the game as well. Then there are usual tweaks added by the game maker. After the latest beta update, Flamethrowers will deal more damage, M134 handling has been tuned as well. Zombies will move slower than their usual speed after being hit by firearms. If you’re an avid PUBG Mobile player, then you should be aware of the doors bug that’s existing for a while now. Well, PUBG Mobile is fixing the bug with the beta update. There are two doors bugs in the game; The first one is doors doesn’t open automatically while the second one is the doors were not displayed properly. With the beta update, the latter is being fixed. Then there are some usual bug fixes; After the last update, hair was not displayed correctly when equipping specific headgear which has now been fixed. And there’s another bug fix where players may get stuck in buildings in some instances.